You can also send it via the CASH app $lilballerbiker or you can pay via cash. There is a buy in fee $25 (all monies are paid out to the winners of the challenge). CASH app $lilballerbiker or you can pay via cash. 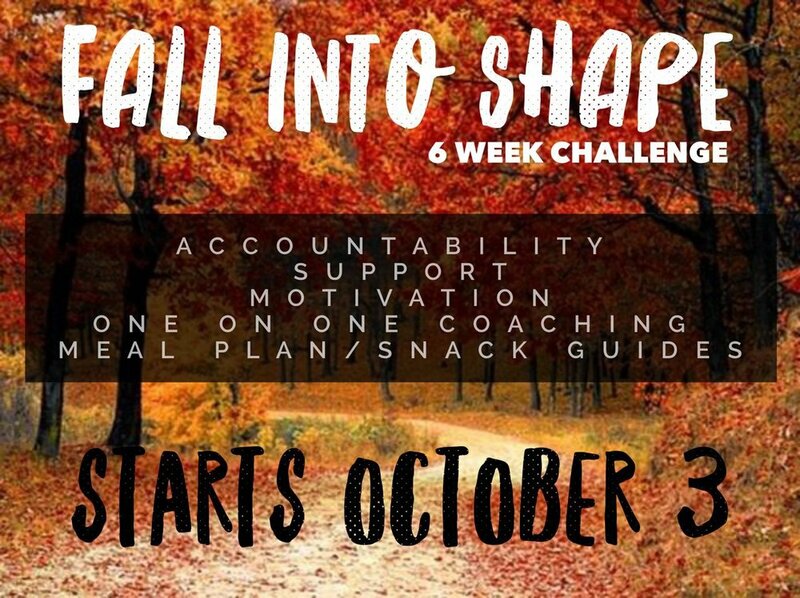 Nutrition Plan: It is REQUIRED that participants follow a Nutrition Plan provided by your coach that would be me😊, during the challenge--no starvation! This is a healthy, active group seeking lasting results! Private Facebook Group: A Private FACEBOOK GROUP created for the Challenge!! All posts, pics and comments can only be seen by fellow challengers and coaches! ● Interact within this private group!!!! Share pictures of shakes, workouts, healthy meals, recipe ideas, inspirational quotes, new results etc. Whatever gets you FIRED UP!! ● To build community and motivation, as well as to help your coach support you in your success we ask that challengers post/interact in the group! Thank you for being AWESOME!!! Prizes: everyone who loses and transforms is a WINNER! AND there are CASH PRIZES for the biggest losers! Total Body Transformation Prize: to be eligible to compete participants must submit 3 before pictures (front- back- side) at the start of the challenge (10/3) and again at the end of the Challenge (11/14) (not required if you don't want to compete for this ... but hey, WHY NOT??!!) WEAR SAME GARMENTS BEFORE AND AFTER / SAME POSES-STRAIGHT ON; NO ANGLES, use BLANK BACKGROUNDS. Please post pictures in a 3 (BEFORE) AND 6 (AFTER) panel picture collage for easy comparison. Pics are judged by an objective panel of wellness coaches: Top Achievers in Business within Herbalife. ***Prize amounts and categories will be announced after all monies are collected! ALL CASH GOES BACK TO THE WINNERS! ******PARTICIPANTS MAY ONLY WIN IN 1 CATEGORY******. Video weigh-in with WORD OF THE DAY-Send to your coach Wednesday, November 14th. To ensure accuracy participants must use a digital scale that can measure to the tenth (.1) of a pound, sometimes winners are determined by small margins … EVERY TENTH COUNTS!! WELCOME to the CHALLENGE! Want results? Join me in this journey! When you visit the site, create your free account so that you may shop and see the prices. Please contact me 240-481-5040 for suggestions.